Credit: http://www.nationalfastforimmigrantjustice.com. All rights reserved. To understand what happened around the deaths of Michael Brown in Ferguson, Eric Garner in New York, and Tamir Rice in Cleveland requires that we acknowledge and address the larger patterns of violence that are occurring more and more frequently in the United States. Even more demanding is the challenge of doing this while refraining from further polarization, and accepting the need to appreciate the viewpoints of everyone involved—especially people of color and the police. There must be an honest evaluation of all the issues and a commitment to work together towards a viable solution. If we can grasp the larger story that goes beyond the incidents themselves, we can see that a nation of violence and fear, of mass incarceration and punishment, has brought us to where we stand now. These three deaths are tragic examples of a long and growing series of cases that require immediate attention. But what is really going on, and how can we prevent violence like this from erupting in the future? The statistical evidence that young black men are disproportionately destined for incarceration is clear. Distrust of policing practices, especially in communities of color, continues to rise. Racism in police forces and prisons is a fact. 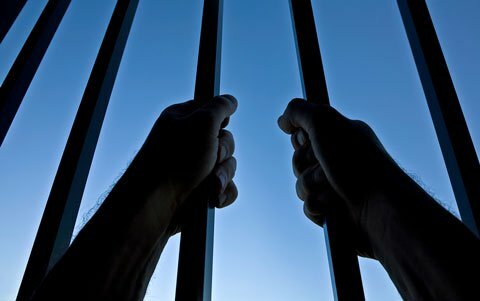 The US prison population has skyrocketed and the rest of the world now looks to America as the “incarceration nation.” In fact the USA now locks up a higher proportion of African Americans than South Africa did at the height of apartheid, holding 25 per cent of the world’s prisoners even though the US constitutes a mere five per cent of the global population. American society seems systemically bent towards violence and punishment, and there is an increase in military-esque ‘interventions’ whenever voices speak out against this trend in public. Just this week reports revealed a very dark side to the CIA and torture in the United States. But the police are also facing complex and urgent issues around how to serve communities against the background of rising numbers of shootings in schools and public venues. Blame doesn’t provide a solution to these issues. Martin Luther King Jr. once said that a riot is the expression of those without a voice. If the US is not hearing something, it is past due that its leaders and citizens begin to listen and work together to enact real change. The lives of all the children and young people lost in shootings cannot be brought back. The distrust of the police and the justice system cannot be reclaimed, except through an honest debate that leads to systemic change. And systemic change must include the transformation of the police and prison systems. That’s where restorative justice has a central role to play: systems that meet the needs of everyone involved in the most humane ways possible—those who commit crimes, and those who suffer from them. In so doing, humanity begins to be restored to the justice system itself. Although underpublicized, the restorative justice movement in the US is growing rapidly. The Peace Alliance acts as an umbrella for many programs that show how conflict can be prevented, de-escalated or resolved using Nonviolent Communication—skills that American society has consistently undervalued. In Seattle, for example, the Alliance has partnered with Seattle Restorative Justice and other community groups to formulate a radically different response to the Marysville-Pilchuk High School shootings that took place on October 24, 2014, when a young student opened fire and killed four others before taking his own life. The approach is based on the idea of Restorative Circles where everyone involved in a conflict meets together to hear each-other’s needs and concerns, and then to formulate ideas and actions for reparation. The circles are based on “reflective listening,” a powerful way of making sure that what is heard matches with each speaker’s intent—a tool that’s essential to catalyzing a deeper understanding of justice and injustice among all the parties. Four years before the Marysville-Pilchuk tragedy, a police officer in Seattle shot and killed a homeless woodcarver of indigenous descent by the name of John T. Williams, who at the time was carrying a piece of wood and his open woodcarving knife across a city street. The officer testified that he thought he needed to engage with Williams when he saw the knife, and initially claimed that Williams came after him, but this statement was retracted by the Seattle Police Department. Williams was shot dead at the scene. The public outcry around this case was long and loud, so Andrea Brenneke, an attorney and co-founder of Seattle Restorative Justice, decided to use the same Restorative Circles approach to address the deep anger and submerged racism that were felt by the Indigenous community and the homeless in Seattle at the time. In 2012, the City of Seattle, the Seattle Police Department, tribal representatives and members of Williams’ family met repeatedly to work through the aftermath of this tragedy together. Their willingness to face the truth, listen respectfully, and work their way through dialogue to restore some sense of balance to their relationships is a living example of what other communities are calling for now in the wake of the killings of Michael Brown and others. In fact in Ferguson, a group made up of equal numbers of white and black citizens has already come together to initiate their own Restorative Circle process. Fania Davis, the Director of Restorative Justice for Oakland Youth in California is a keen observer and supporter. “A common quote made by many is that we cannot arrest our way out of this problem. It is with this in mind that we have created a five hour intensive training bringing together cops and kids. The training aims to break down stereotypes and negative perceptions that kids have of cops and cops may have of kids. Similarly, in New York Mayor Bill DiBlasio is revamping the training of police and prison officers by introducing tools such as nonviolent communication and the de-escalation of conflicts before they get out of hand. We already know from Police Chiefs like Bob Richardson in Battle Ground, Washington, that improvements in police academy training can support a transformation of how his officers approach their work. He believes in the efficacy of Restorative Justice and has seen its game-changing effects in the communities he serves in Southwestern Washington State. To do this, his force provides a toolkit of responses to police officers that is oriented towards de-escalation, providing them with scenarios in which they can learn to use nonviolent communication techniques and examine a situation from a larger point of view. In that way they can avoid triggering a violent over-reaction in themselves in the heat of the moment. As these examples show, the key point is that there are ways to respond to, and even prevent more tragedies like Ferguson that lessen the chances of recycling the same harm and damage that lie at the root of the problem of violence in the United States. Are they also signs that America is finally waking up to this fact? If so, this could be an unprecedented opportunity for transformation.